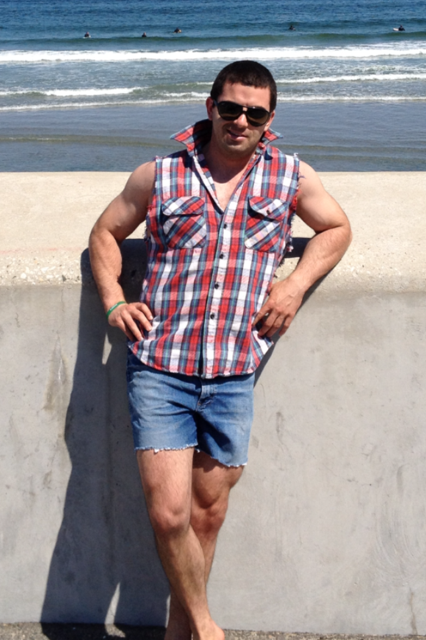 Today’s guest blog post comes from my buddy and badass strength coach, Ben Bruno. I recently posted THIS blog highlighting Ben’s top four lower body landmine exercises so definitely check that out if you haven’t seen it. This is one of my favorite pressing combos for shoulders and upper chest that also happens to be easy on the joints. Start by performing six band-resisted landmine presses per arm, then go directly into six squeeze presses. This functions are a simple but awesome mechanical drop set whereby the weight remains the same but you switch to an easier variation as you fatigue. Both pressing variations are great not their own, but one issue with landmine presses is that due to the arc of the bar, it gets easier as you approach lockout at the top, and this effect is heighten even more in taller lifters since it becomes more of a horizontal press. Adding band tension works great with the strength curve because band tension increases the higher up you go, so it ends up providing a more even resistance throughout the entire range of motion. Remember that with both variations, the wider your stance, the greater the band tension. You may have tried single arm landmine presses as a shoulder-friendly alternative to the overhead press, or the regular bilateral landmine press, which is more of a standing incline press to target the upper chest and shoulders. Both exercises are great on their own, but this side-to-side press essentially combines those two moves into it one, giving you the best of both worlds. In one sense it’s a unilateral exercise in that you’re biasing one side on each rep, but because both arms are still contributing to moving the load, you can use more weight than a single arm press, which in turn means greater overload for the shoulders and chest with very little stress on the joints. Furthermore, bringing the bar down to one side at a time challenges the core like crazy to resist lateral flexion, giving you even more bang for your buck. To take maximal advantage of the core training benefit, keep your form strict, do the reps slowly, and don’t let your torso twist or sway as you press. 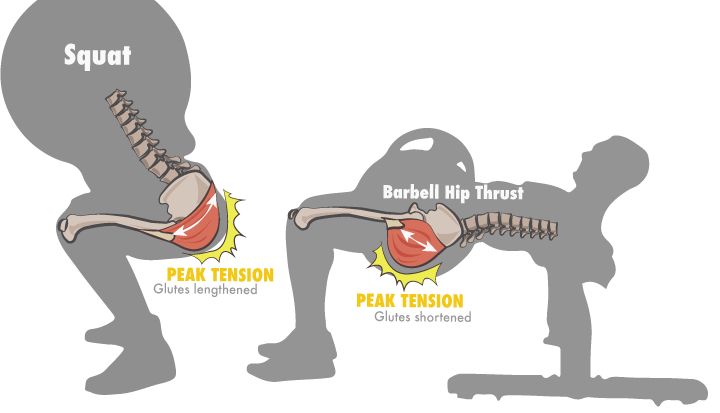 This is an awesome exercise to work the rear delts and upper back that also really works the core via anti-rotation. You want to set up with your torso close to parallel to the floor, but it’s important to make sure to hinge at hips to get into position and keep a flat back rather than bending forward and rounding the lumbar spine. Once you’re in the proper starting position, keep everything still except for the working arm. While this is ostensibly a rear delt exercise, it doubles as one heck of a rotary core exercise if you keep strict form. These are very challenging even with an empty bar, but if you want to make it easier you can choke up on the barbell, bend your arm a little bit, and/or use a lighter bar if you have one (a shorter curl bar works well). This version is probably a bit more user-friendly and safer for the lower back than the unsupported version. While I call this a lateral raise, it’s really a front raise, lateral raise, and rear delt raise all mixed into one. Start by performing eight staggered-stance landmine presses. Next, drop the weight and do eight lateral raises, then drop the weight again and finish up with eight reverse flies, for a total of 24 reps. Complete all the reps with one arm before switching to the other side. You want to load the bar strategically so that you can move from one exercise right into the next, so the heavier plate(s) will be on the outside with the smaller weight on the inside. It’s important to maintain good form throughout the set, so don’t rush the reps. This series will fry your shoulders without putting undue stress on the joints, making it an awesome alternative for people who can’t overhead press for injury reasons. Thanks for sharing guys. I’ve been adding these into clients programs with really good feedback. Gives some awesome variety and very shoulder friendly. Totally agree! I use it with all my clients. I tell them it’s a different type of machine! So much versatility.